This stencil is a made to order item only available through pre-order. To pre-order this stencil pay and order online as usual. 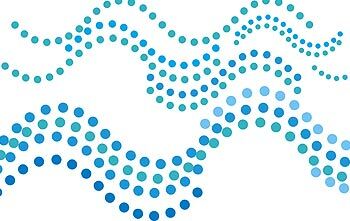 We will then cut the stencil for you in our next stock cut and despatch to you as soon as your order is ready. This process can take up to 28 days. Order confirmation will be emailed to you on receipt of order payment and despatch confirmation will be emailed when your stencil is ready. Please be aware Made to Order stencils are non returnable. 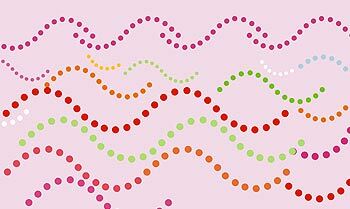 The Dotty Waves Stencil is a three sheet stencil, each sheet containing two different dotty wavey lines. 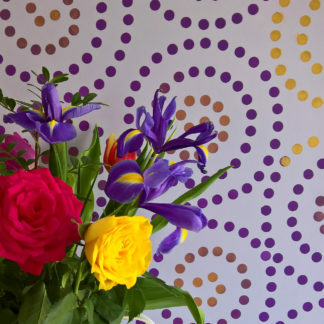 This simplest of stencils has a great versatility – use the different sized dotty wave motifs together to create a sense of movement and perspective or use just one size simply repeated for striking style. Use this stencil to create simple modern, striking wall features and to make fabrics for contemporary curtains and blinds.Three sheet stencil – see size and layout specifications below. This stencil lends itself to an explosion of colour – bright primaries in wavey rows on white, pink or blue give immediate impact, or white on turquoise makes for fantastic modern bathroom style. See colour examples here for ideas for fun colour schemes and the different layouts that can be achieved with this simple stencil. Above and top – the largest dotty wave motif repeated as both regular and irregular continuous waves in Ice White Stencil Paint on turquoise and lilac sea backgrounds. 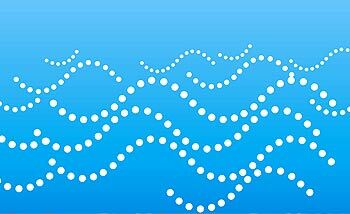 Above – the three different sized wave motifs of this theme pack stencilled as an irregular wave pattern in Ice White on a turquoise sea background. 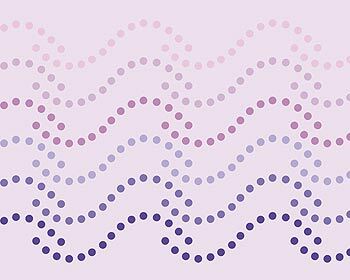 Above and below – the largest wave motif of this theme pack – used top and bottom as a single motif and repeated as a continuous line for the two central rows, stencilled closely together. Above stencilled in Alba Rose, Very Berry and Seville Orange Stencil Paints. 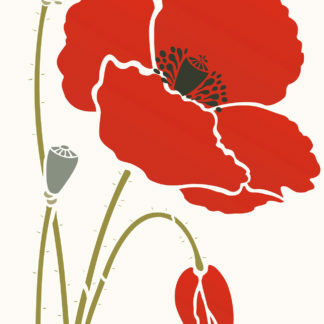 Below stencilled in the same colours with Harvest Gold instead of Alba Rose. 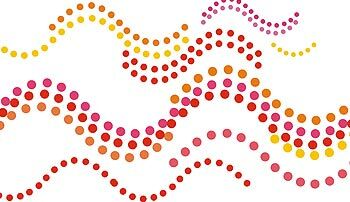 The Dotty Waves work very well with the Dotty Swirls Stencil and have been created on the same scale so that these two stencils can be used in conjunction with each other. 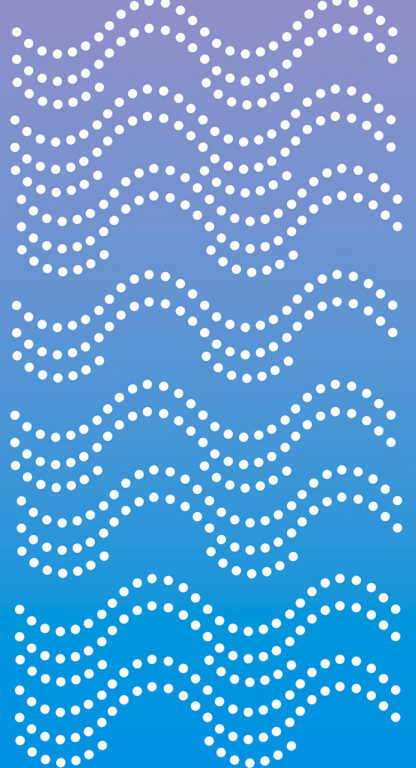 Above – the longer wave motif of the medium sized dotty wave stencil stencilled in slightly overlapping horizontal waves in (top to bottom) Orchid, Plum Blossom, Alba Rose, Forget-me-not, French Lavender and Agapanthus – above on a turquoise sea background and below on a pale lilac background. 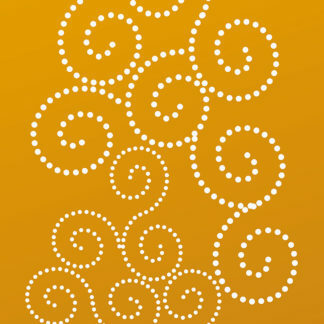 For other dotty stencils see the Small Dotty Spirals Stencil , the larger Oversize Dotty Spiral, Classic Dotty Spirals, the Funky Spiral Theme Pack and also the Dotty Circles Stencil Theme Pack. 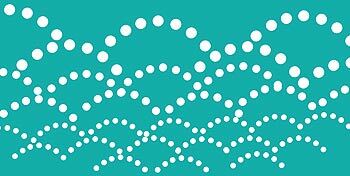 Above – the different wave motifs of the Dotty Waves Stencil stencilled in random horizontal lines in bright colours on a turquoise sea background for real impact. 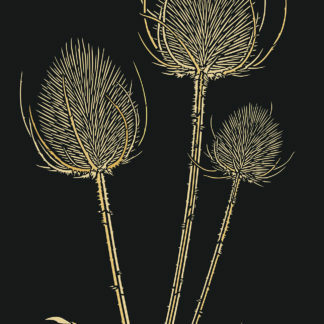 Stencil Paints used here – Lime Blossom, Verbena, Harvest Gold, Seville Orange, Very Berry, Atlantic Blue and Ice White. 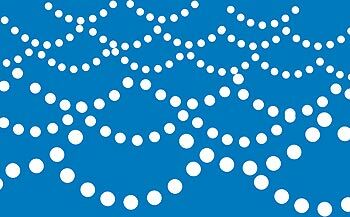 Above – the different wave motifs of the Dotty Waves Stencil stencilled in close-knit horizontal lines in different blue tones to create a modern sea mural. 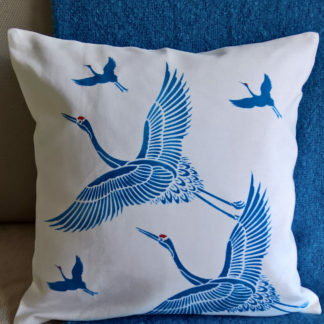 Stencil Paints used here – Kingfisher, Cyan and Persian Blue. 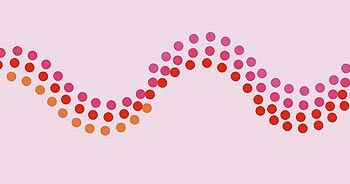 Above – the different wave motifs of the Dotty Waves Stencil stencilled in close-knit horizontal lines in brights reds and oranges to create a modern abstract mural. 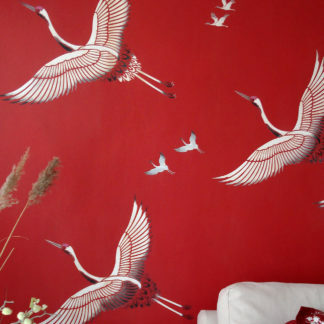 Stencil Paints used here – Harvest Gold, Seville Orange, English Rose, Damask Rose and Very Berry. 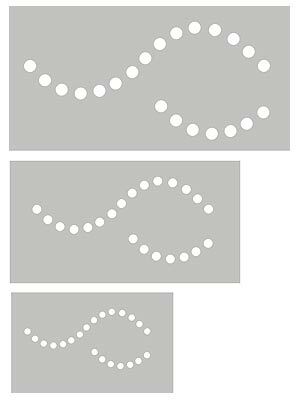 Above – the different wave motifs of the Dotty Waves Stencil stencilled in irregular horizontal lines in different bright tones to create a decorative panel. 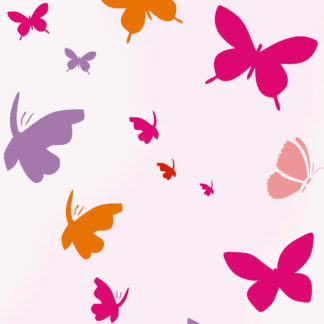 Stencil Paints used here – Alba Rose, Ash Green, Seville Orange and Raspberry on a pale pink background. 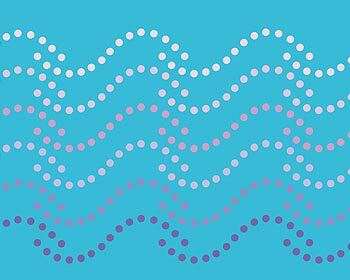 Above and below – for a different effect, just use the half wave motif on each stencil sheet to create different scallop wave patterns – shown here in Ice White on blue and green backgrounds. 1. Approximate width of the largest wave is 68cm/27″ and of the half wave 31cm/12″ on a sheet 78cm x 40cm. Dot size 3.2cm. 2. Approximate width of the medium size wave is 50cm/20″ and of the half wave 23cm/9″ on a sheet 64cm x 34cm. Dot size 2.4cm. 3. 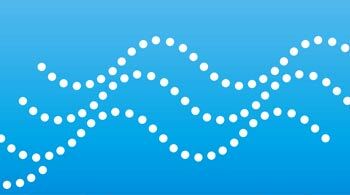 Approximate width of the smallest wave is 34cm/13 1/2″” and of the half wave 17cm/6 1/2″ on a sheet 45cm x 28cm. 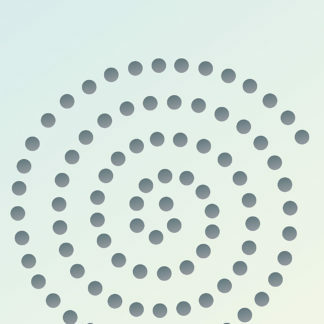 Dot size 1.7cm. 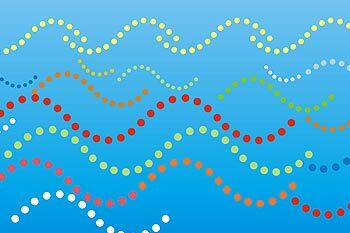 Left – the three stencils of this theme pack showing the three different sized wave sets.